I participated in yesterday's graduation at South Lincoln High School - it is the last graduation and the school's last day. It is one of 3 schools being closed due to dwindling enrolment. It's not that Smithville isn't growing - as one drives towards it the wall of new build is there. I don't think Smithville is covered by the Greenbelt legislation, so is expanding rapidly. Part of the dwindling enrolment is students registering in other high schools because of extra programming and activities. And then by 2020 the super high school will be built to consolidate all the high schools in the catchment area. It was a different graduation last night compared to Blessed Trinity the night before. For a school at its ending, the tone was upbeat and energetic with optimism for all. There were contemporary references and students were treated more as equals (the difference of tone and language). They were complimented on the quality of their performance and behaviour as a group and as individuals. $35,000 in scholarships were being awarded this year. Then there's the difference of principals. Blessed Trinity's is sincere, open, and caring. This female principal exuded charisma and excitement. She related her recent overnight motorcycle trip to Stratford with her 10 year old daughter. She started off with the active use of the 'extended metaphor' for both students and staff to engage in - she enjoyed the teaching opportunity. 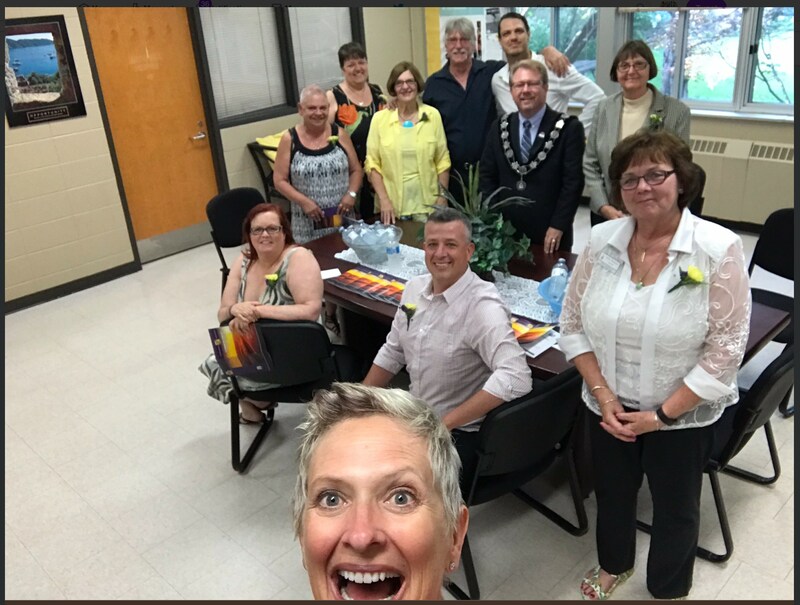 Here's the link to their tweets and we're included in one of the pictures - yes that's the principal with that wild smile. Compare that with Blessed Trinity tweets. 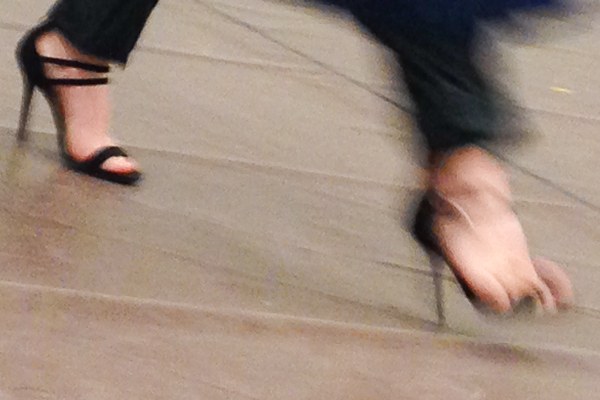 We presenters were off to the side, so no shoe pictures from last night - these are Blessed Trinity's.